Missoula was always an important halfway point for the Northern Pacific's North Coast Limited; to the east was the climb from Livingston to the Bozeman Tunnel, followed by the unforgettable ride on the Butte Short Line up and over Homestake Pass into Butte. West of Missoula was the climb over Evaro Hill, along the Jocko and Flathead Rivers, and the many gorgeous miles along the Clark Fork River to Sandpoint. 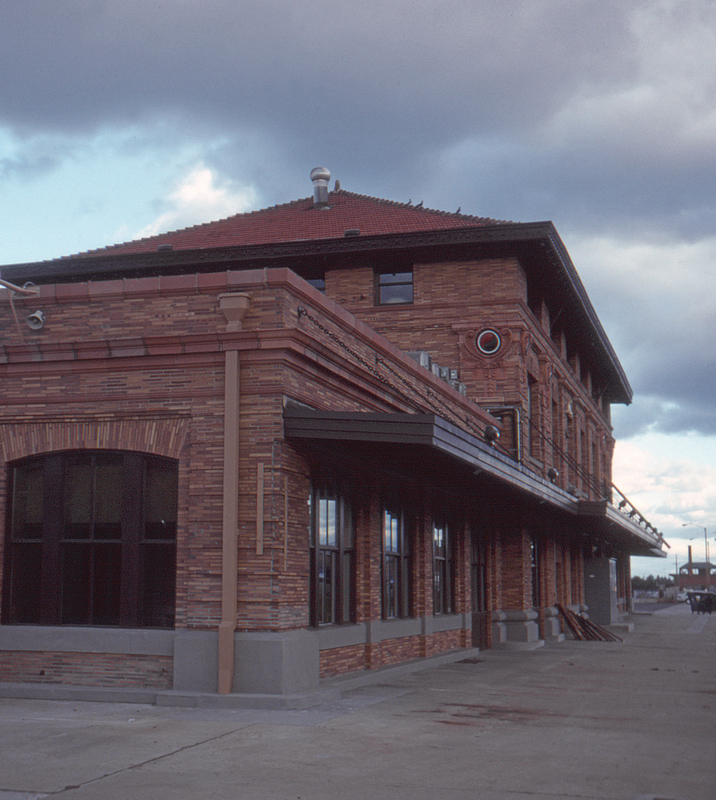 A suitable depot for the occasion was a necessity, and the Northern Pacific met the challenge with its Missoula depot, built in 1901 (the last of three). Designed by the architectural firm of Reed and Stem, it rivals the Livingston Depot in style and functionality. Sadly, the last regularly scheduled passenger train left the depot in 1979, with the discontinuance of Amtrak's North Coast Hiawatha.